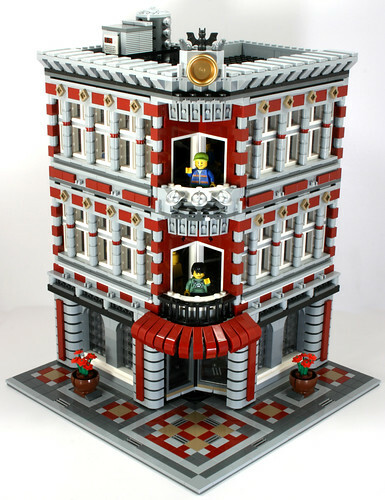 Brick Town Talk: Dark Red Modular Love - LEGO Town, Architecture, Building Tips, Inspiration Ideas, and more! Dark Red Modular Love, originally uploaded by ToT-LUG. It took two Fire Brigades, but it sure came out well. I especially like the columned windows on the sides, it makes for a very well made "turn of the century" look.